As far as I can tell this is a real marmite book, some love it, some hate it, I'm not going to go so far as to say I hate it, but I didn't really enjoy it as much as I could have and it took some effort on my part to get through it. 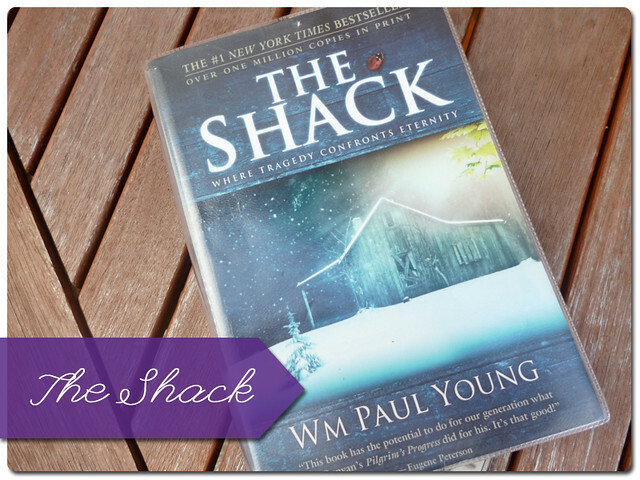 The Shack tells the story of Mack, a man whose daughter Missy is abducted while the family are on holiday, and Mack's journey into dealing with Missy's abduction and apparent brutal murder. Now, I want to start off by stating that I am not religious, and that if you will be offended by opinion of this book purely because i do not share a religious stance then please stop reading. My opinion on this is for the open minded, as I was prepared to be open minded and did not refuse to read the book because of its religious content. That out of the way lets get down to the review. I describe it as Mack's journey with dealing with Missy's abduction because that is exactly as it is written. Unfortunately Young tried to sell the story like it was true, a friends memoirs. In my opinion he should have just treated it as fiction, without the preamble about telling someone else's story which immediately put me off. The story though is essentially about one man's method of coping with loss through reaching out to his God and asking why. Young doesn't just have Mack speak to God through prayer however, he has Mack interact with God in his three forms at The Shack, where evidence of Missy's murder has been found. I loved the idea for this story, and actually feel that it could have been stronger with a better, more organised writing style. I found it confusing and messy, with far too many similes and metaphors throughout that made the read a struggle. I did however like the portrayal of Mack's grief, and his loss as to how to deal with life after the abduction, it felt honest. I found the three God characters were interesting to read, though they were clearly designed to shock the reader. They may have shocked a devout christian (an African American female God with a love for freshly made pancakes) they didn't surprise me and in fact reminded me of many twists on the idea of God in fiction today making it a cliche and a half. I was pleased we had some resolution to the crime as for a good chunk of the book I really thought it would go unresolved in order to ram the idea of forgiveness down the readers throat, but I am happy we had some resolution. It wasn't enough for me, and wasn't enough to balance out the airy fairy bits in the middle, but I am glad that we were given that, even if I do think that the abduction of missy was merely tacked on to allow the author reason to preach a bit. Bottom line is that this was a great idea for a story, but that it should have been presented as a balanced piece of fiction, and edited better. I actually feel that it was a bit of a waste of potential.